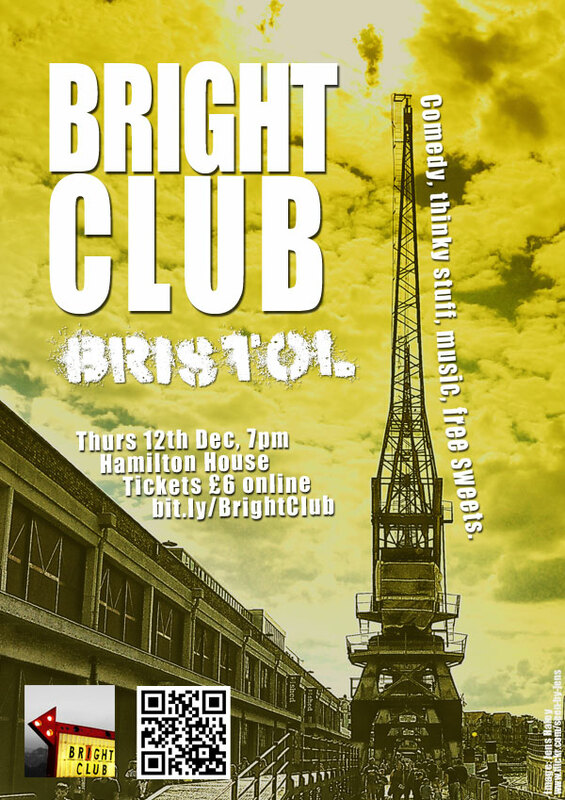 Bright Club Bristol | Comedy club that thinks it's clever. Actually quite stupid. We’re sad to announce that Bright Club Bristol will not be returning – at least not in its previous form. This is not due to any lack of interest in the event, which was extremely popular and always sold out, but to “life”, which has happened in various ways to all of us on the team and sometimes just gets in the way. If anyone is interested in reinventing Bright Club Bristol, we would be very happy to pass on our experiences and be of help in any way we can. We hope you enjoyed the jokes about quantum thingamabobbies and equine genitalia etc etc. So it’s only taken us about six months… but finally we’re bringing you the song that Rachael Dadd wrote for our two-year anniversary show. There’s some audience interaction, which did happen on the night, but we didn’t catch it so well on the audio so make sure you sing along at home. Thank you to Rachael – this was wonderful. DECEMBER! Bright Club Bristol #10! And we are two years old! Some tickets will be available on the door for £7 from 6.30pm. Please see FAQs for ticket queries. The Bright Club bar will be serving from 6.30pm. Our bar is on the 3rd floor of Hamilton House – same as the venue for Bright Club. 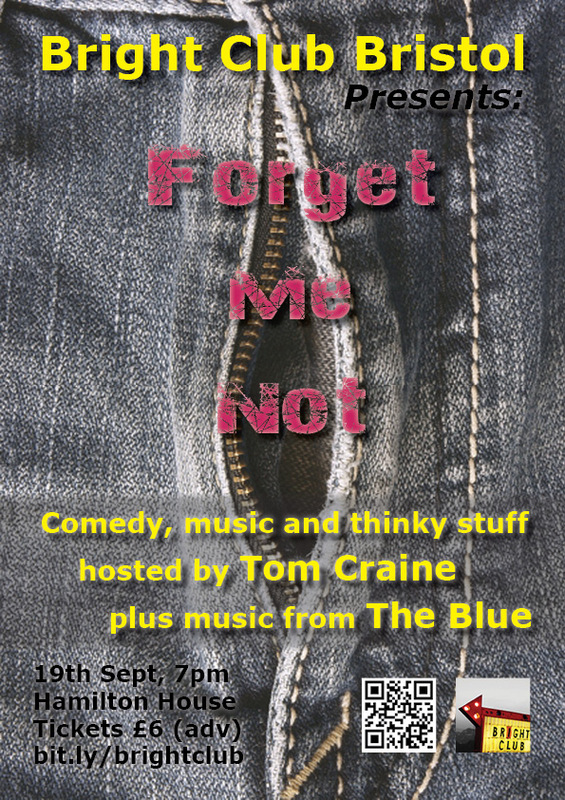 Sadly Tom Craine has had to pull out at the last minute of Bright Club Bristol tomorrow night. Sad face. Happily we have another T(h)om who is ready to sort out our under Thomas-ing problem. Happy face. 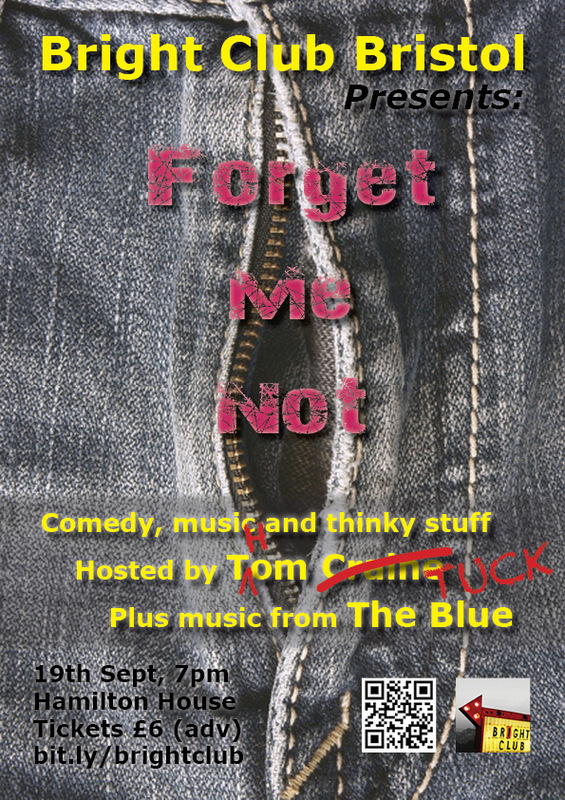 Thom Tuck will be hosting tomorrow night, everything else will be as advertised, you may now continue on with your daily lives. Don’t forget that tickets cost £7 on the door and will only be available in very limited numbers. Buy in advance to make sure you don’t miss out! The bar opens at 6:30pm and is upstairs in the same room as Bright Club (3rd floor of Hamilton House). Buying your booze from us helps support future Bright Clubs! 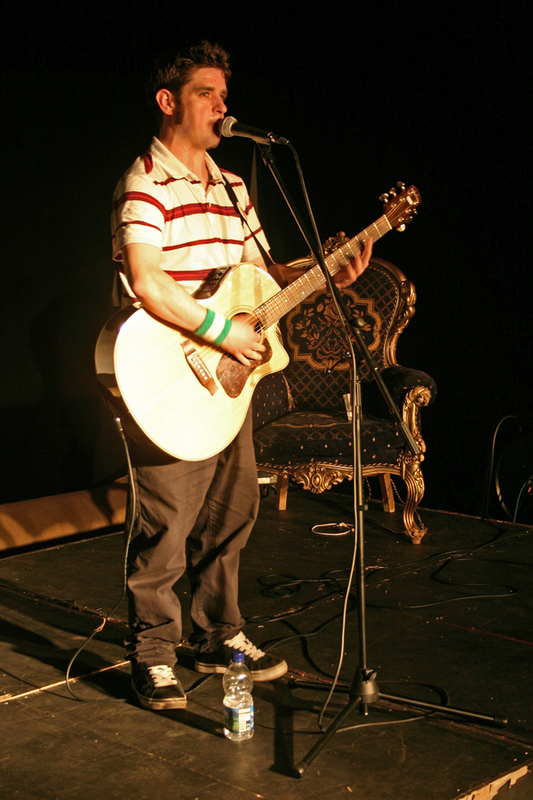 Folk-rapper Clayton Blizzard went down a storm at last Thursday’s Bright Club. (Despite heckling from side-stage, MC Mike Bubbins was so impressed by his comedic banter that he brain-banked one of his jokes for future use.) Here’s the specially commissioned song Clayton wrote on the subject “Change” – recorded on the night. Advance tickets for this gig are now sold out. Some tickets will be available on the door for £6 from 6.30pm. Please see FAQs for ticket queries. The Bright Club bar will be serving from 6.30pm. Our bar is on the 3rd floor of Hamilton House – same as the venue for Bright Club.